Many popular tourist locations are in areas of limited agricultural production. As a result, all food must be shipped into the countries by air or sea. This is not a problem for many vegetables and frozen meats, but it is for fresh, perishable, salad crops such as, tomatoes, cucumbers, peppers, lettuce, herbs and related products. Consequently, fresh vegetables and the salads composed of them are of very poor quality with little taste. I am going to discuss how a hydroponic farm can play a significant role in providing resorts and hotels in tourist regions such as the Caribbean, using CuisinArt Golf Resort & Spa in Anguilla, B.W.I. as an example (photos 1 & 2). 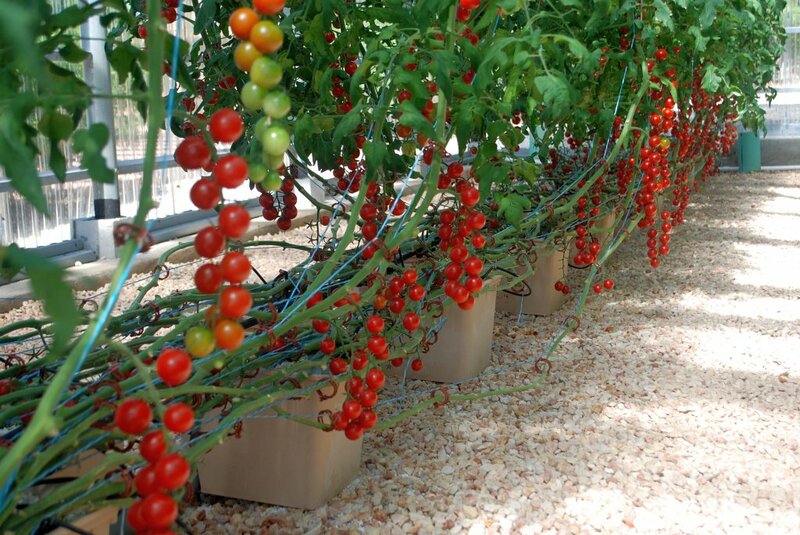 Expectations are that using CuisinArt Golf Resort & Spa Hydroponic Farm as a model of how hydroponics may be the answer to providing fresh vegetables to popular tourist sites will lead to an expanding application of hydroponics. 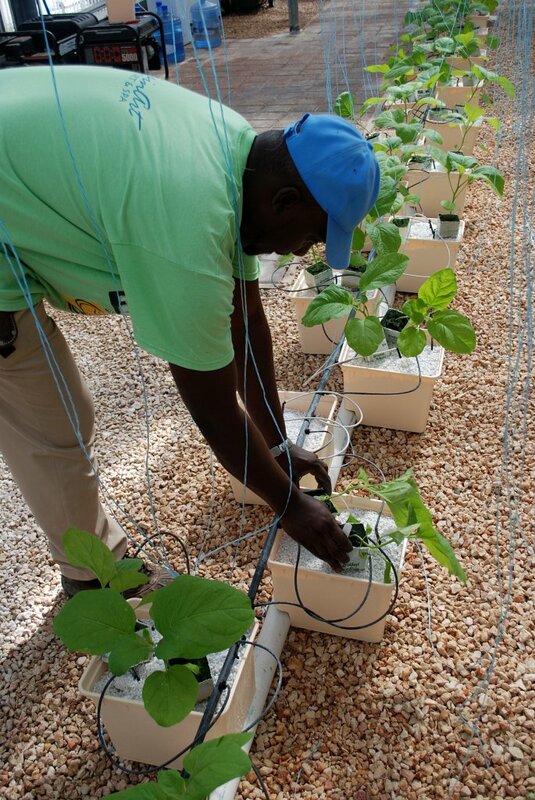 Hydroponic farms also play a significant role in the operation of health spas associated with such resorts, as is the case with Cuisinart Golf Resort & Spa (photo 3). 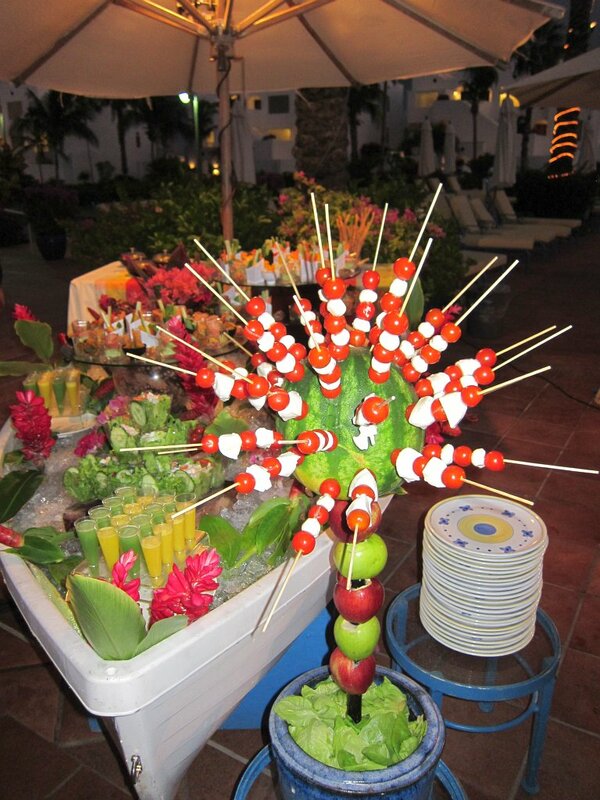 The fresh vegetables are part of a “wellness” program provided by the spa. Travelers are becoming more aware of the source and quality of the foods eaten in these regions. They realize a sense of security in eating fresh salad crops when they are produced at the site of the resort. 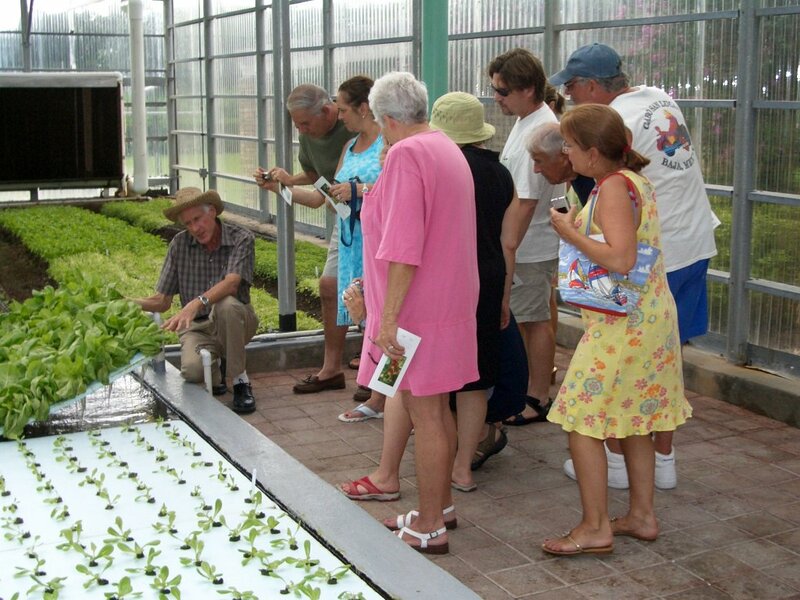 To further assist their confidence the Hydroponic Farm offers tours to the resort guests (photo 4). 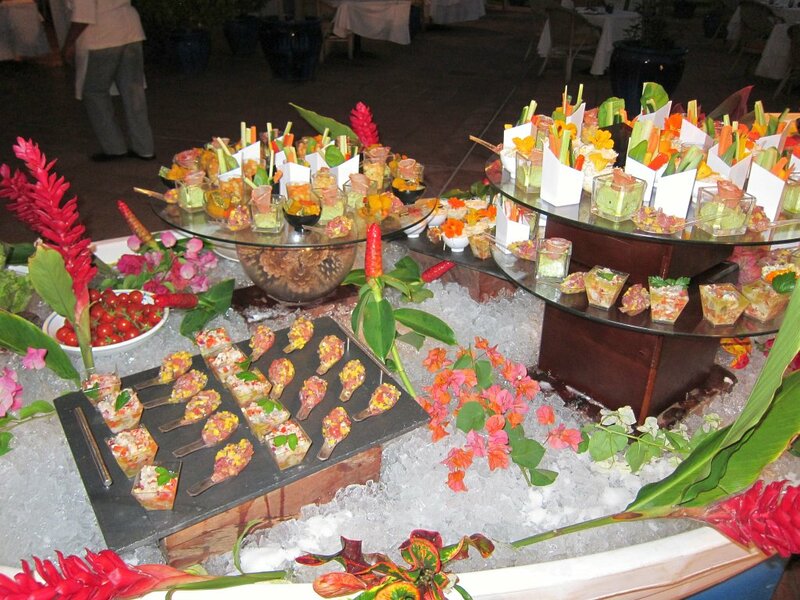 All the guests remark of the tasty and nutritious nature of the hydroponic salads, having a true “backyard” flavor. 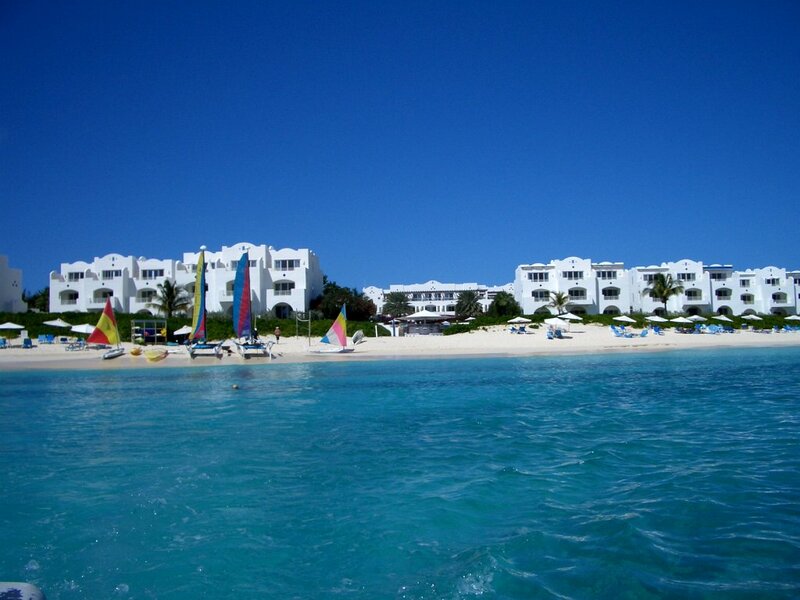 The resort is located on the small Caribbean island of Anguilla that is about 15 miles north of St. Martin/St. Maarten (photo 5). 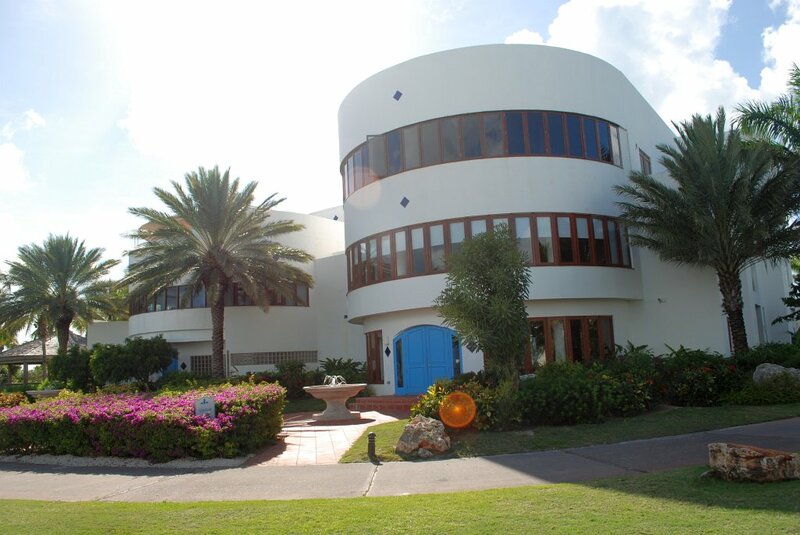 CuisinArt Golf Resort & Spa is located on the beautiful beach of Rendezvous Bay (photo 6). 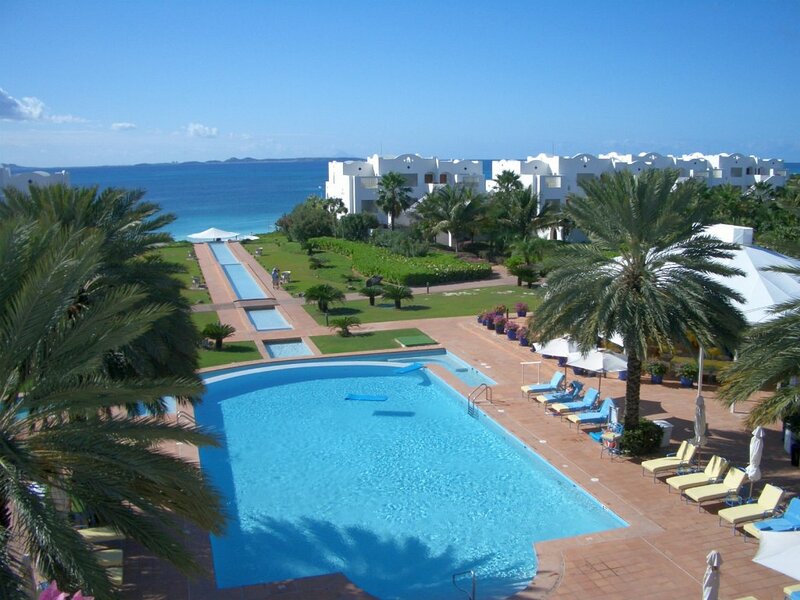 The resort overlooks the island of St. Martin, which is about 15 miles to the south of Anguilla. 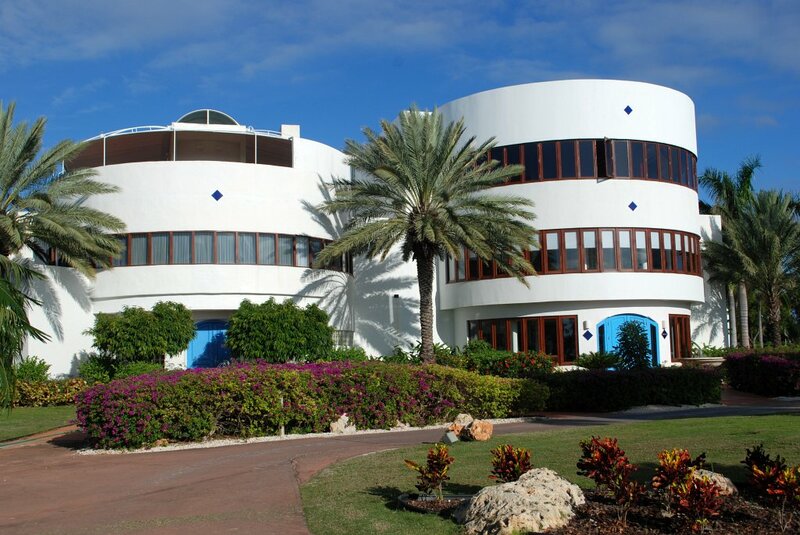 CuisinArt Golf Resort & Spa is comprised of 10 villas on the ocean front (photos 7 & 8), the main hotel with two penthouses on the third floor ( photo 9), the Venus Spa (photo 10), and five restaurants (photo 11). The resort also has the World’s only resort Hydroponic Farm (photo 12). All of these facilities are set in lush surroundings of the landscaping and gardens of an award-winning botanical design (photo 13). The expansive 98 luxurious guest suites and villas at CuisinArt Golf Resort & Spa range from 900 to more than 7,500 square feet (photo 14). All air-conditioned rooms offer guests unique sea views with St. Martin in the background. 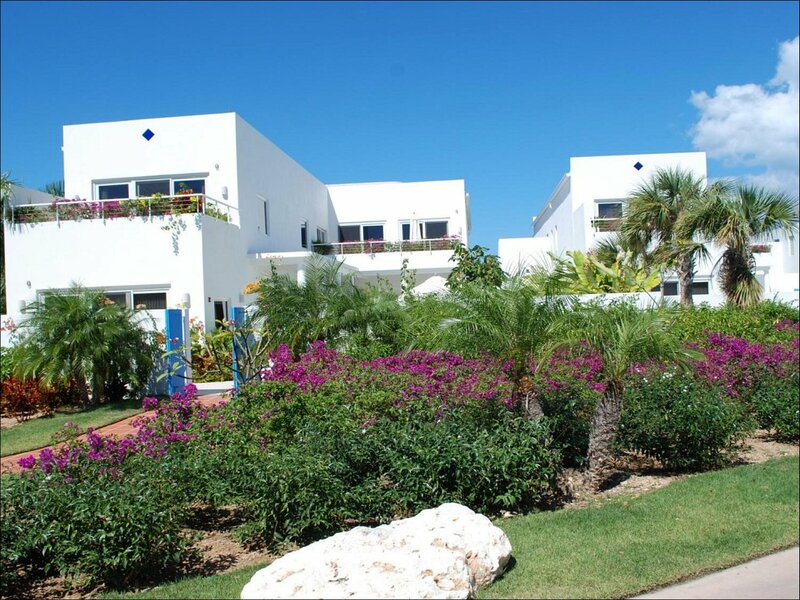 The architecture of the resort is of Mediterranean style with whitewashed villas facing the sea and surrounded by profuse plantings with a tropical theme (photo 15). The infinity pool provides guests, especially children, with the opportunity to indulge in safe pool activities close to the hotel (photo 8). 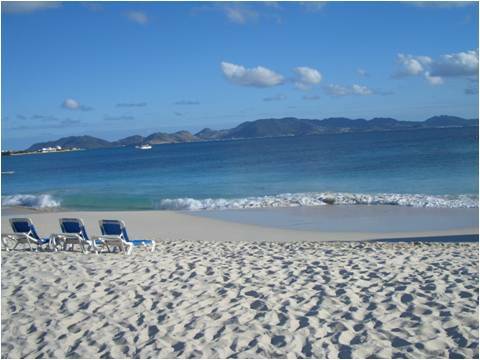 The two-mile white sandy beach at Rendezvous Bay invites guests to swim, snorkel or sail. 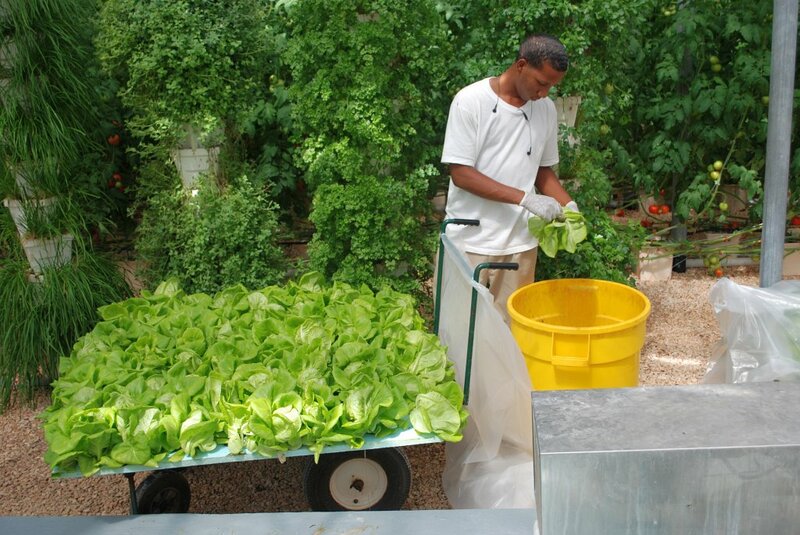 The Hydroponic Farm is the first resort farm using state-of-art, soil-free growing techniques in producing, the freshest and healthiest vegetables on Anguilla (photo 16). Daily harvesting of crops provide the most nutritious ingredients for both the restaurant cuisine and spa treatments. The Venus Spa gives the synergy of European and the latest modern spa treatments. CuisinArt Golf Resort & Spa is a member of the Leading Small Hotels of the World, which features small luxury hotels for family getaways, romantic escapes and business meetings. The 98 rooms range from Luxury guest rooms to Penthouse suites. 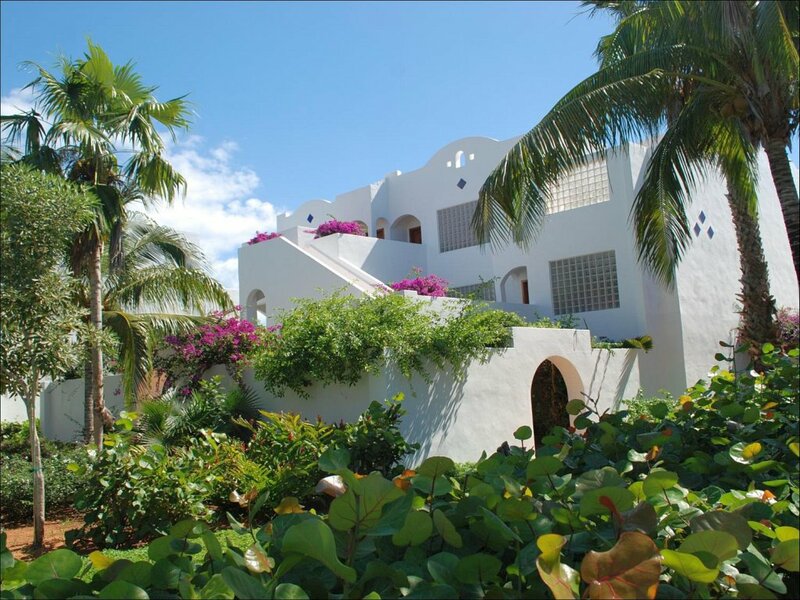 Luxury guest rooms are located in the main building while the suites are in the beachfront villas. All the guest rooms of the main hotel overlook the pool, offering ocean views. These luxurious accommodations include a large bedroom with living area, dressing room, marble bathroom and private patio. The Villas are spacious beachfront suites. There are four suites to choose from to fit you special relaxation visit. Junior Suites and Luxury Junior Suites are 920 and 980 square feet respectively. Each offers a large bedroom with living area, marble bathroom and private balcony or patio. The One Bedroom Suites is 1800 square feet with a master bedroom, marble bath with private solarium, a living room with guest bath and private terraces with outdoor showers overlooking the ocean. 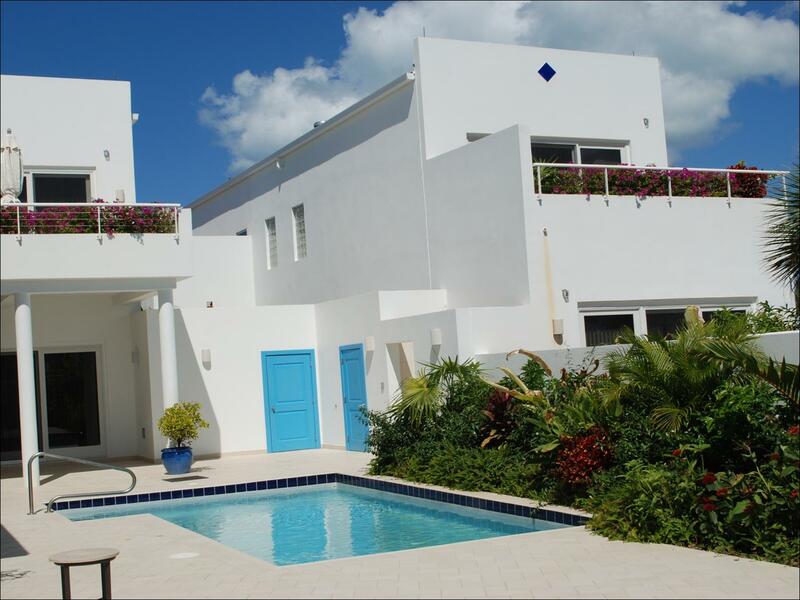 The Luxury Two Bedroom Suites are 2800 square feet located on the top floor of the beachfront villas. They have a large master bedroom with living area, marble bath with private solarium, living room with guest bath, and an additional bedroom with marble bath. Outside are the expansive terraces (photo 17). There are two penthouses on the top floor of the Main Building. One penthouse is 3300 square feet with a master bedroom with marble bath, two additional bedrooms with private baths, living room and full kitchen. An expansive 1000 square foot terrace overlooks the pool, beach and ocean. The larger penthouse of 3600 square feet has a private 4000 square foot sundeck. It also has a Jacuzzi. Inside is a master bedroom with bath, another bedroom with bath and office suite or additional third bedroom, a large living room, full kitchen and dining room. An expansive terrace of 7600 square feet offers a sensational view of the pool, the beach and the ocean. The Café Mediterraneo poolside restaurant offers breakfast, lunch and dinner with special Lobster Night on Tuesdays (photos 18-20). When dinning for lunch or dinner the restaurant offers the unique salads of the Hydroponic Farm, which offer phenomenal freshness and true back-yard flavor that cannot be experienced elsewhere. The Le Bistro at Santorini restaurant offers exquisite evening dinning with the choice of fine wines from the internationally recognized wine cellar. The Kitchen Stadium, in air-conditioned comfort, located in Le Bistro at Santorini, is perfect for the chefs to demonstrate the fine art of cooking. Guests participate in scheduled classes or arrange their own. Cooking classes and demos offer a wide variety of cuisines for guests to participate in culinary learning experiences. The master class features a tour of the organic farm, where students will harvest some of the produce used in preparing their lunch. The Hands-On Class allows guests to work with the chefs in preparing a three-course lunch enhanced by a fine wine that complements the cuisine. Be pampered at the Venus Spa with customized facials, mineral baths, aromatherapy and anti-aging treatments, a well as arctic and mineral-rich thermal masks, massages and body treatments (photos 21, 22). The spa includes a full-service salon, fitness training and yoga. 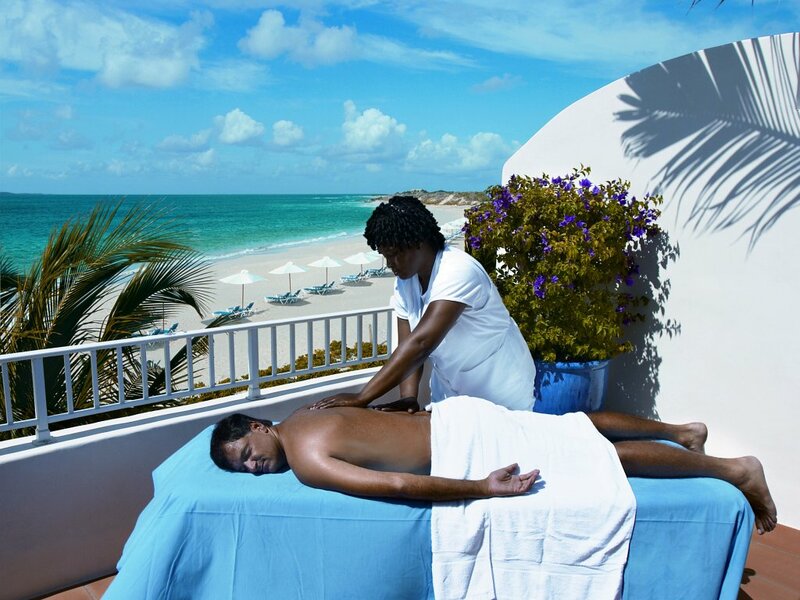 CuisinArt Golf Resort & Spa Venus Spa has areas for hydrotherapy, the relaxation room and sixteen treatment rooms – including wet rooms, massage and facial rooms, VIP and couples suites. Spacious locker facilities and an expanded fitness center accommodates yoga and Pilates studios, personal training, and state-of-the-art TechnoGym equipment. Activities include sailboat and catamaran trips on CuisinArt’s luxurious 41-foot catamaran on Sundays. Enjoy snorkeling, diving and discovering the marine life of the island. A gourmet buffet lunch on the boat is included. They also have a Sunday Sunset Cruise to enjoy the evening breezes with champagne and tapas provided by CuisinArt’s culinary team. Resort tours include a landscape tour of the diversified plantings and a Hydroponic Farm Tour offered three times a week. Dr. Resh will explain the growing techniques of hydroponics and offer the guests to sample cherry tomatoes from the vine (photo 23). Recreational activities are offered by professional instructors. Personal trainers will design a program for the guest’s individual fitness and lifestyle goals. Fitness centers are fully equipped and offer daily fitness classes for all levels. 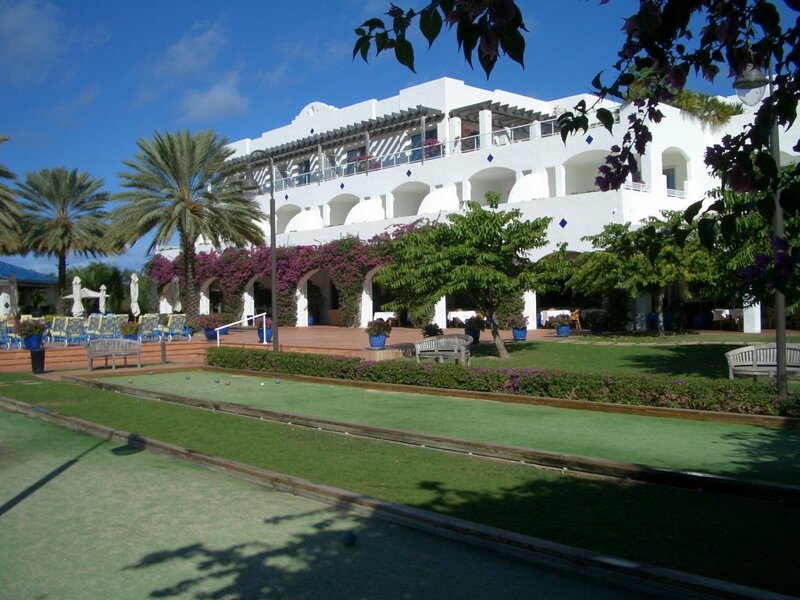 Three Astroturf tennis courts, a bocce court and croquet fields offer outdoor recreation. A children’s playground is located next to the croquet field is well-equipped for children to enjoy innovative and professionally organized programs. The wedding of your dreams can be created with the assistance of CuisinArt Golf Resort & Spa’s events planner. All the wedding details will be taken care of so that the bride and groom can be guests at their own wedding, and truly enjoy the memories created. Wedding settings include the Wedding Gazebo overlooking the beach, On the Beach where the bride and groom can walk down the aisle of soft, white sand, or in the Pergola situated in the center of the Resort. 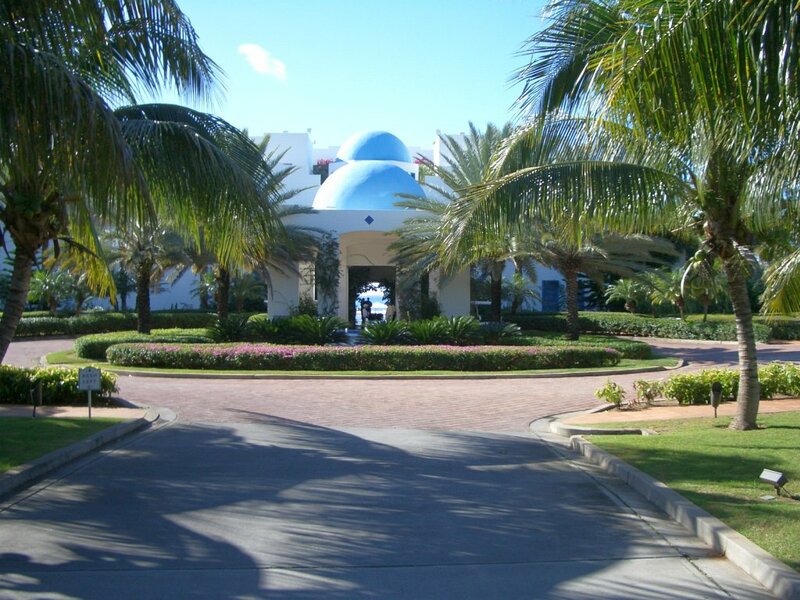 CuisinArt Golf Resort & Spa has a lot to offer for a unique vacation experience. Relaxation and healthfulness is the emphasis of the resort. 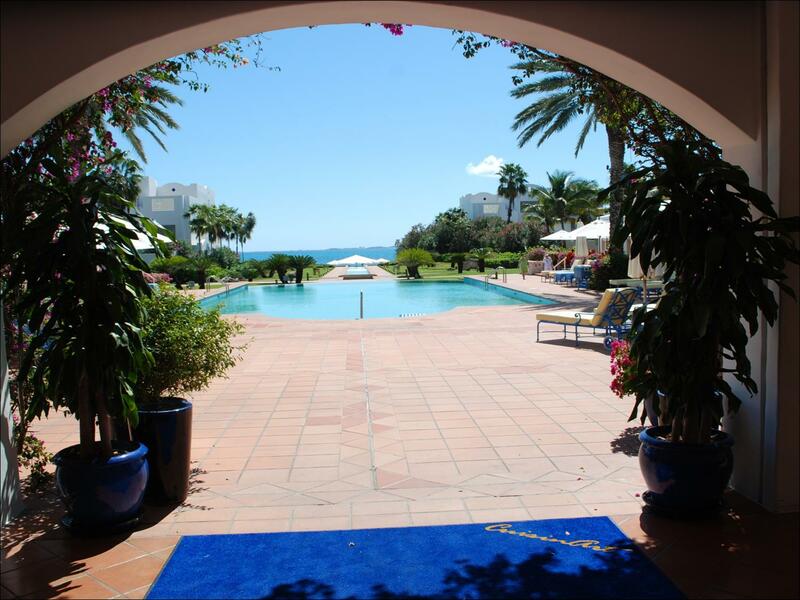 Its magnificently beautiful facilities and surroundings including the award-winning landscape, beach, hydroponic farm, spa and tranquil atmosphere of the island of Anguilla make the guests stay beyond their expectations. 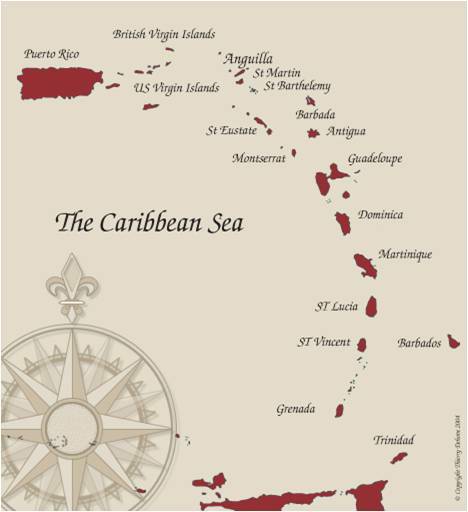 Food for Anguilla is imported via Florida or St. Maarten from North America, Mexico, and Europe. While this is not a problem with processed foods, it is for perishable fresh vegetables such as, tomatoes, cucumbers, peppers, lettuce and herbs, whose quality is greatly compromised by lengthy shipping. Even products that ship well may sometimes not be available due to delays in transportation. Fresh seafoods are an exception due to the abundance of marine life in the very clean waters of the area. The resort is high-end with very discerning guests. They are very health conscious, concerned about their diets and source of foods. With the Hydroponic Farm we present tours three times a week to explain how the fresh salad crops are grown and to assure them of the safety and quality of their salads. 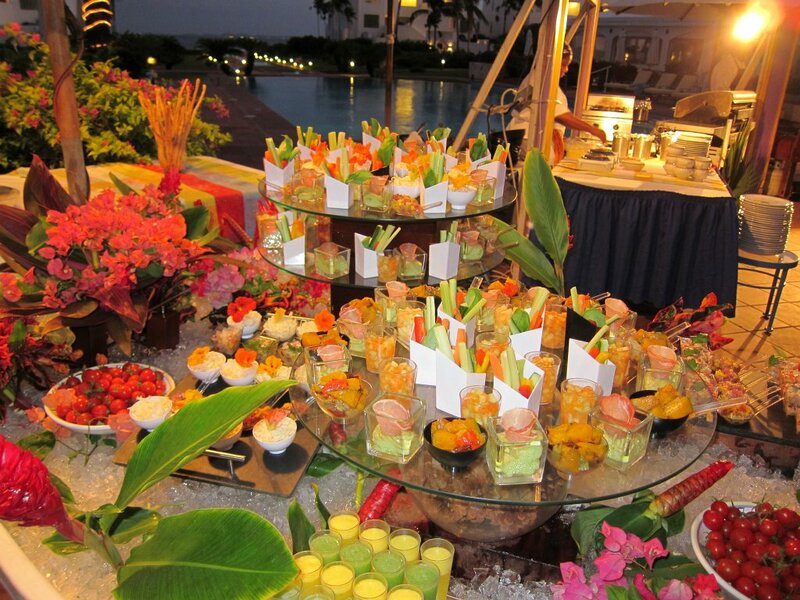 The highly flavorful salads make a lasting impression with the guests. It is our aim that this unique aspect of the resort combined with pleasant surroundings, beautiful beaches, polite staff, healthful meals and exercise programs with massage and skin care programs of the spa, will put the guests in a restful state that they are seeking and as a result will bring them back as “repeat guests”. After all they come to these resorts to relax and release themselves from everyday stresses of their normal life styles. Hydroponic culture was an obvious choice for growing vegetables in an environment having very little, if any arable soils. 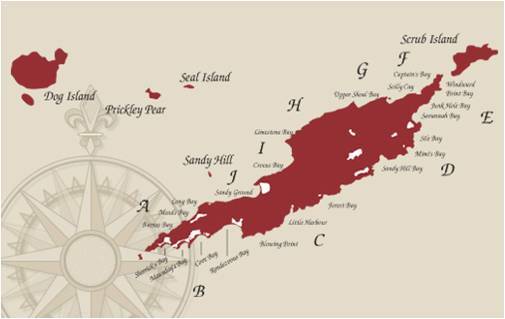 The lack of arable soil combined with no source of fresh water restricts any agricultural development on an island similar to Anguilla. Residents of Anguilla collect rainwater from their roofs into large cisterns under their homes. When they run out they must purchase water from a company that generates it by reverse osmosis (RO) from seawater. This is expensive costing up to 2 cents per gallon. Obviously, desalinated water is too expensive to use for growing conventional crops. Even with drip irrigation systems the high light, temperatures and prevailing winds desiccate plants very quickly making their water demands very high. Overhead sprinkler irrigation systems lose the majority of water to the atmosphere, so are not practical. Only a few crops as corn, peppers and tomatoes are grown without irrigation on small acreage. The production is not enough to go much beyond personal use. 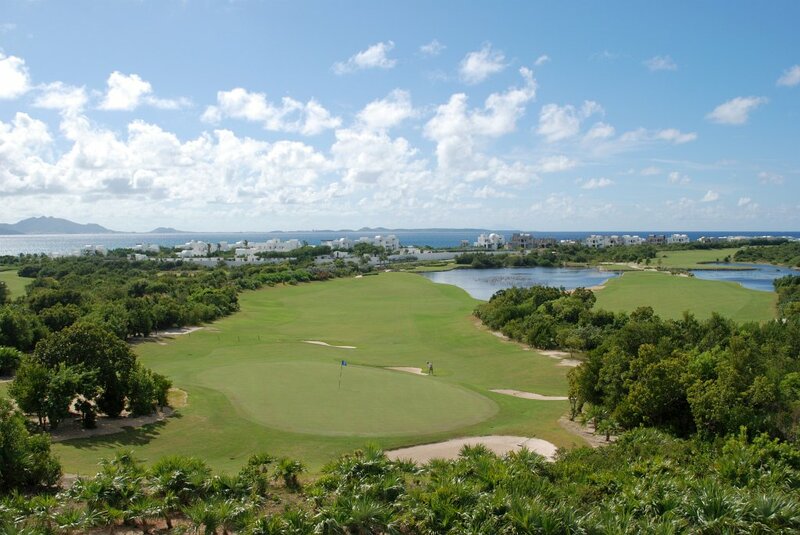 Faced with these conditions it was clear to CuisinArt Golf Resort & Spa that they would have to use a more efficient method of growing than conventional soil. Coupled with these conditions of poor soil and lack of water is the fact of frequently occurring hurricanes that pass through the Caribbean islands. The solution was to construct a greenhouse using hydroponic culture. A special greenhouse was engineered to withstand hurricane winds up to 150 mph (photo 24) so that the crops scheduled to be bearing could be protected during the hurricane season. The greenhouse constructed by AgraTech Greenhouse Manufacturing of Pittsburg, California has proven its resilience during hurricane “Lenny” of late 1999, which had winds up to 150 mph. The greenhouse suffered no damage. To withstand such hurricane winds the greenhouse superstructure is twice the number of galvanized steel members as a normal greenhouse constructed under North American or European standards. The polycarbonate plastic corrugated roof panels also resist such strong winds. We are very confident now that the greenhouse can withstand such hurricanes. The greenhouse has a pad and fan cooling system combined with an automated shade curtain (photos 25-27). However, with the high relative humidity (RH), cooling below ambient is not possible. Ambient temperatures average from 83 to 90 F during the day and 75 to 80 F at night. Another function of the greenhouse is to reduce the presence of insects on the crops and to permit their control within the greenhouse. The greenhouse also preserves moisture, as no winds are present. Generation of our water from seawater through reverse osmosis (RO) is expensive (about $0.02 per gallon), so we must use hydroponics with recirculation and drip irrigation systems. All leachate water is collected by drainpipes under the floor and under the growing pots to recirculate it to the gray-water system cistern for later use on the outside landscape. The hotel RO unit desalinates 500,000 gallons of water over a 24-hour period and is located at the golf course and operated by solar panels. The greenhouse is 18,000 square feet in area. It houses 3328 head of bibb lettuce growing in two raft culture ponds measuring 16 ft by 32 ft and a smaller one 16 ft by 20 ft. The growing cycle is 26 days within the ponds. This produces 128 head of lettuce daily. We also have three raised beds with a Promix (peatlite mixture) where we grow other novelty lettuces, arugula and basils. The total area of these raised beds is about 2200 square feet. 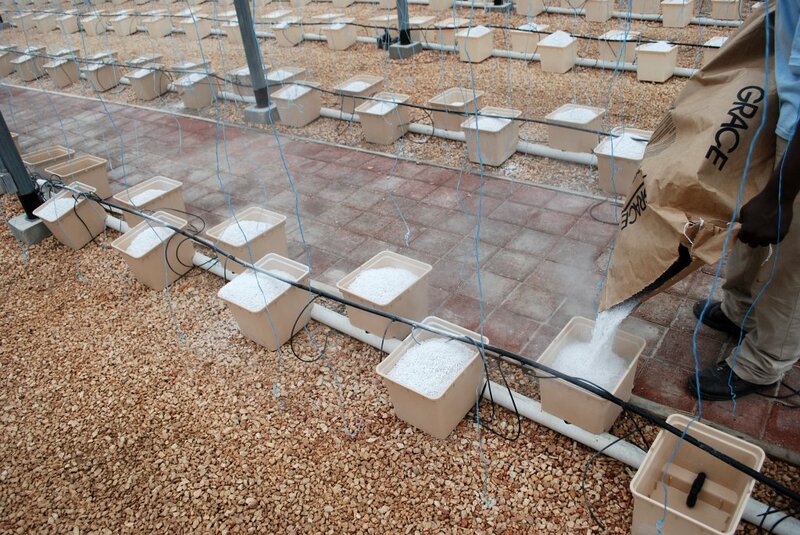 The main area of the greenhouse growing tomatoes, cucumbers and peppers in Bato buckets of perlite contains 1512 tomato plants, 109 cucumbers and 544 peppers. In addition, we grow herbs, bok choy and watercress in a series of 66 plant towers located around the perimeter walls of two sides of the greenhouse. These plants are all feed with a drip irrigation system consisting of a controller, three stock tanks, and injector system designed by CropKing. All of the leachate is retrieved and conducted to the gray-water cistern of the landscape department by a series of drainage pipes under the crops. Every two weeks after making up our nutrient stock solutions we send a sample from the mixing tank to a laboratory in Florida for atomic absorption analysis to enable us to adjust the formulation as required. I am going to take you through the hydroponic farm on a tour and explain the systems as we “tour” the greenhouse similarly as we would do for our guests. 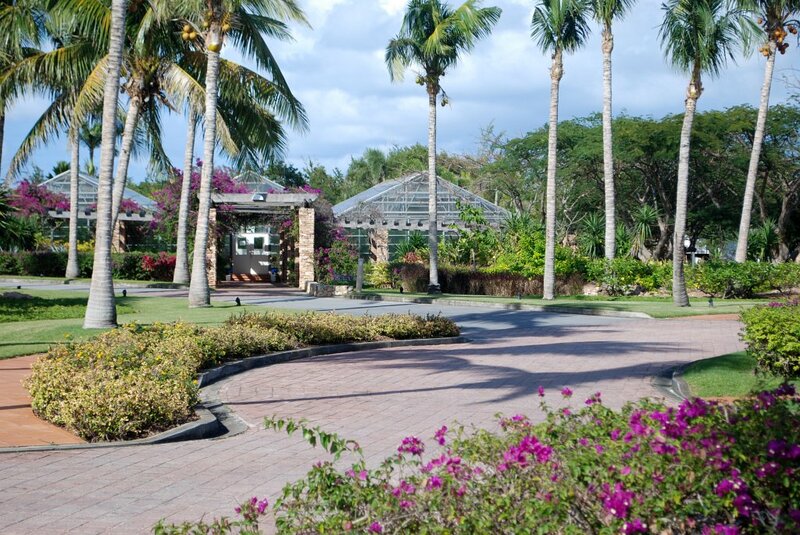 As we enter the south entrance to the greenhouse all guests are required to walk through a bleach bath mat to kill disease spores and possibly insect eggs on their shoes which they may acquire while they enjoy the beach or the beautiful landscaped grounds of the resort. As they enter, the two lettuce ponds using raft culture (photo 28) are directly in front with a raised bed on the side that is growing the novelty lettuces (Oscarde, Malice, Kismy, Baby Cos, Navara, and Revolution), and arugula. We grow European bibb lettuce in a raft culture system. The ponds are about one foot deep. We use a DeRuiter variety “Rex” that we have found tolerates the high light and temperatures better than many others. The nutrient solution of the lettuce ponds is cooled to 70 F or less to delay bolting and reduce fungal (Pythium) infection. The air temperatures are between 85 and 90 F, well beyond optimum for lettuce. We cannot cool the greenhouse anymore due to the high relative humidity (RH) outside. 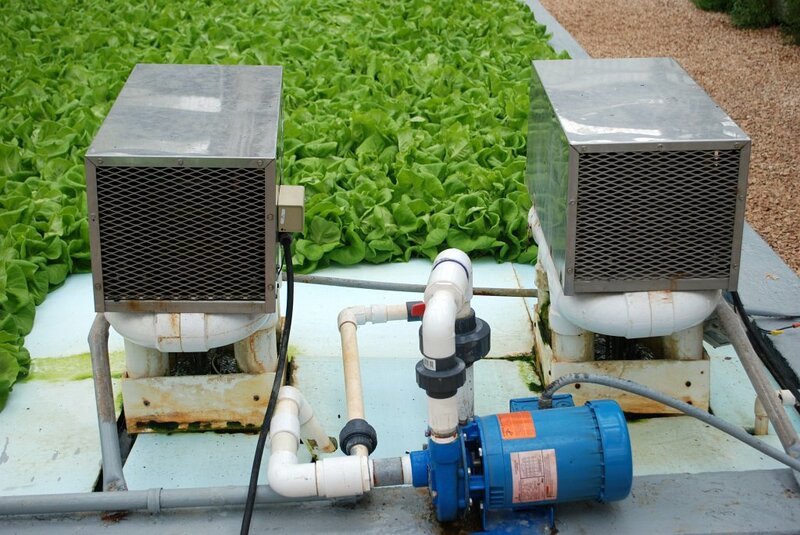 We have two chiller units (photo 29) in each lettuce pond to adequately lower the temperatures of the solution in these ponds. The large pond holds 4600 U.S. gallons and the smaller one 2300 U.S. gallons. The solution is mixed by pumping it around the perimeter of the ponds with a 2-inch diameter PVC pipe with gate valves every 2 feet. The Styrofoam boards measure 1-inch thick by 4 ft by 4 ft. Each board contains 64 head of lettuce. During harvest we lift a board up and place it on a cart where we remove each head cutting it at the crown (photo 30). We place one board of lettuce in a plastic bin for transport to the kitchen. Since we harvest two boards daily and do not allow more than several days of product to remain in the kitchen refrigerator at a time, the lettuce will keep fresh. Our market is only a short distance, so we can deliver the lettuce in this way. When we have excess lettuce we give it to the staff of the resort, schools, churches and the hospital. 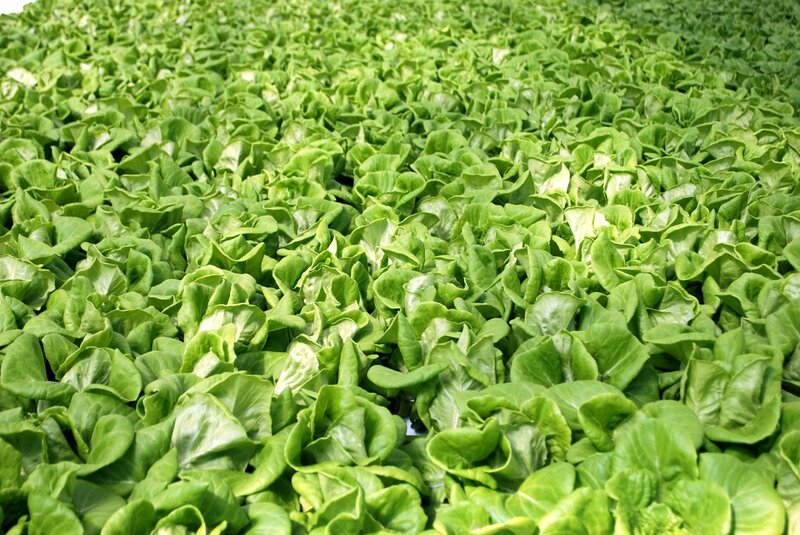 Two boards of lettuce (128 head) must be harvested, seeded and transplanted every day of the week. Regardless of the hotel occupancy, this schedule must be closely followed so that we always have sufficient lettuce during high occupancy periods. When we complete the harvest of a pond, we remove all of the boards from the pond, drain and sterilize the pond with a 10 % chlorine solution. This takes several hours to complete. During this time we stack the boards with the immature lettuce plants root-to-root and keep them watered every 10 to 15 minutes to prevent their drying. This procedure is carried out about every 7 to 8 weeks in order to change the nutrient solution. While we test the EC and pH during the growing cycle, we have found it best to make up a new solution on a consistent period of time. The drain water is all directed to the landscape cistern, so we are not wasting the spent solution. The raised beds are approximately 16 inches deep. They are lined with a 20-mil vinyl and 2-inch diameter drain pipes placed at the bottom. Igneous sand was brought in from Dominica with the intention of growing in sand culture, but the sand was not screened or washed, causing it to compact. It filled the beds to about 10 inches after compaction, so a 4-inch layer of Promix was placed on top of the sand to become the principal growing medium. The plants are fed by a drip irrigation system every other day for 10 minutes. Drip emitters are placed 3 inches apart within the drip lines, which are 1 foot apart. Lettuce and arugula grow very well (photo 31). We also grow the basils in another smaller bed. All the vine crops (tomatoes, European cucumbers, eggplants and peppers) grow in perlite substrate with the bato buckets. We have had very good success with this system. 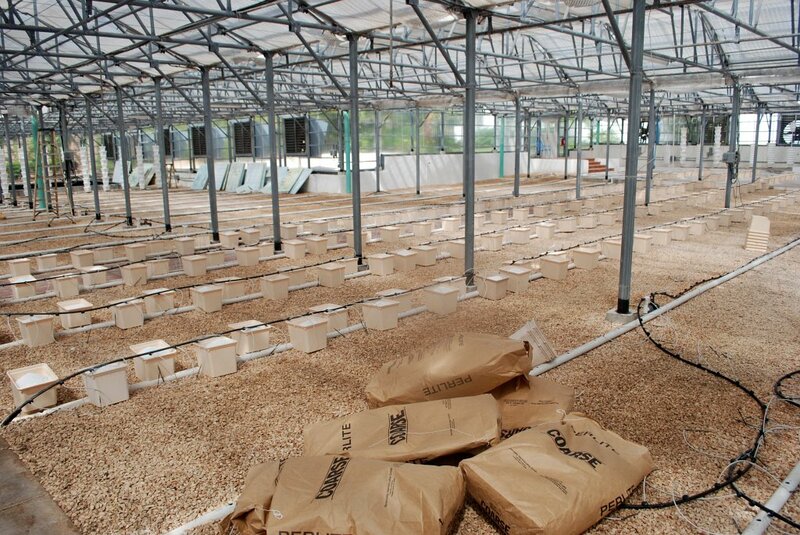 We did some trials using rockwool, but the plants grew much better under our conditions using the bato buckets. The bato buckets are constructed of rigid plastic measuring approximately 10-inches (25-cm) square. Their volume is 4 gallons (16 liters). There is a small ½-inch diameter siphon pipe at the bottom of the pot to keep about 1-inch (3-cm) of solution in the pot at all times. The pots are set on top of a 1 ½-inch PVC drain pipe and are spaced 16 inches (40 cm) apart alternating from one side to the other (photo32). We found for our conditions it was necessary to change the drainpipes to 2 inches (5 cm) in diameter to prevent root growth plugging them. With tomatoes and peppers two plants are grown in each bato bucket. Each plant receives one drip line from a ½-gallon per hour Netafim emitter. 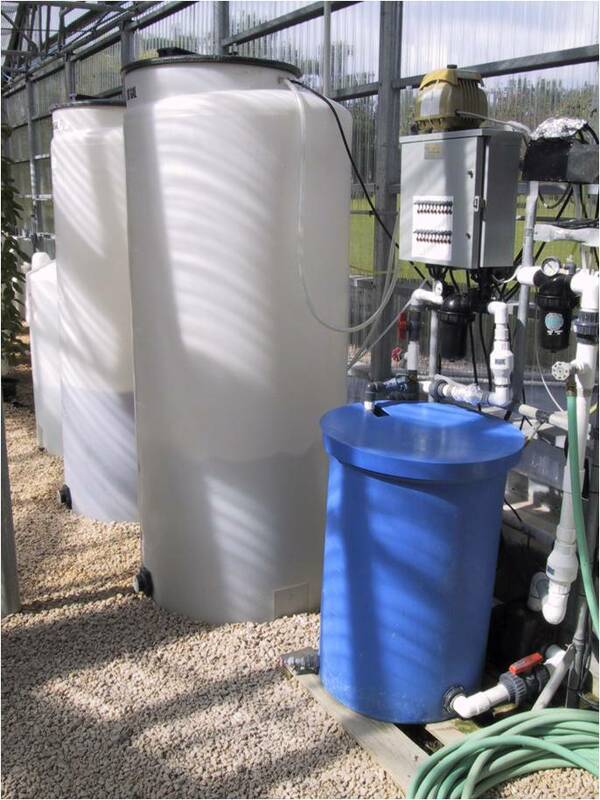 Our irrigation cycles are 10 to 12 minutes every 1 ½ to 2 hours depending upon season and plant growth. The cucumbers receive three drip lines per plant and only one plant is in each bato bucket. Our spacing works out to almost 4 square feet per plant for the tomatoes and peppers and 10 square feet for the cucumbers. Rows are spaced 6 feet center-to-center of the drainpipes. 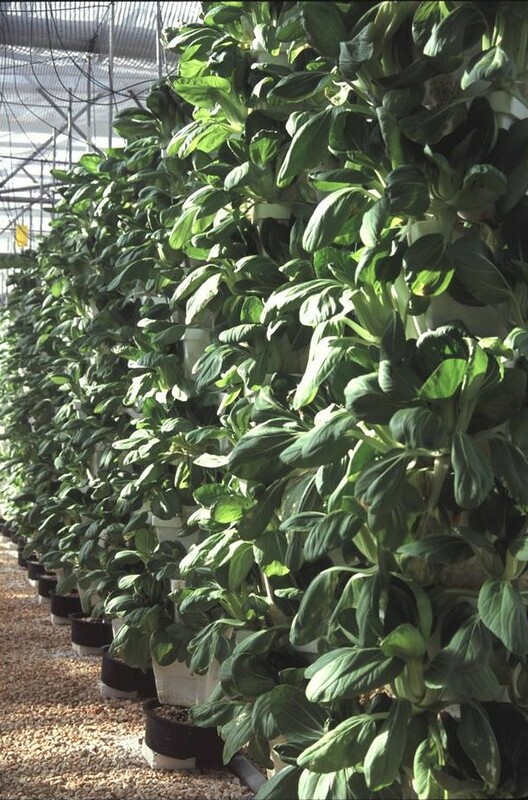 Each two rows of plants is a station operated by a 1-inch solenoid valve. Since our greenhouse has only 10-ft (3-m) gutters to be sufficiently strong to withstand the hurricanes, we must lower our tomatoes and peppers more often than in a taller greenhouse. 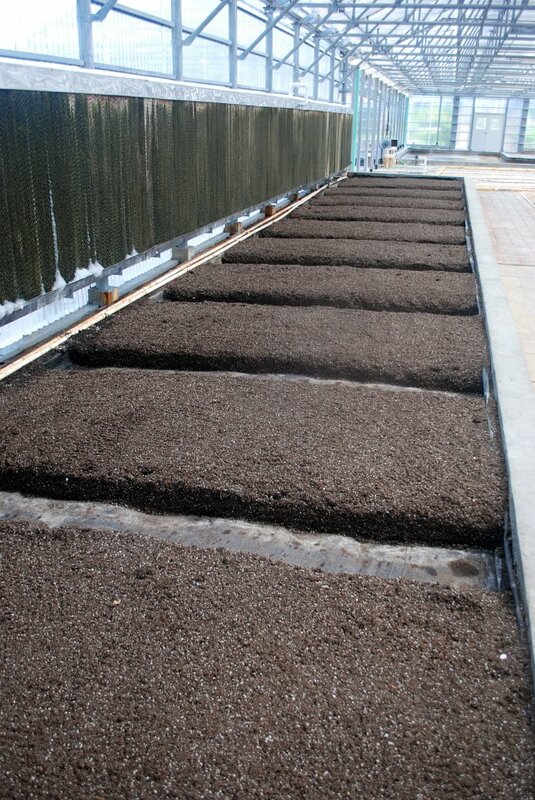 Tomatoes are sown in rockwool cubes and transplanted to rockwool blocks about 2 weeks later (photo 33). 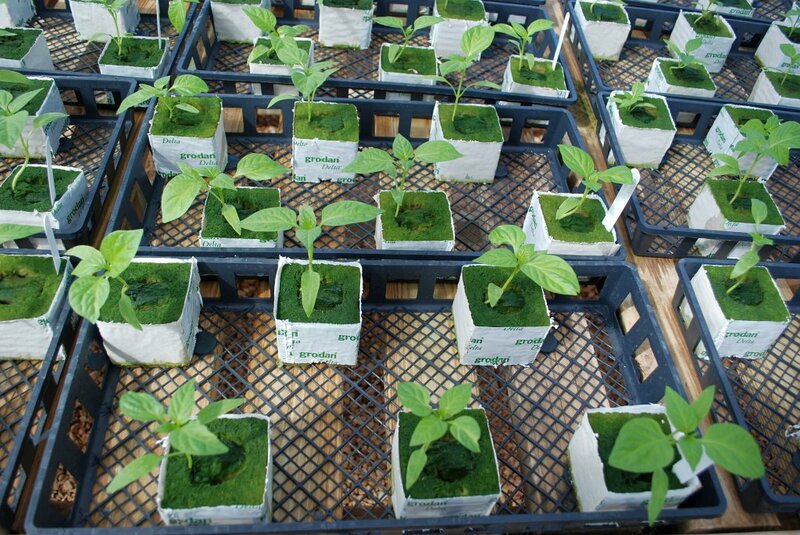 They are then spaced and grown in the blocks until they are 5 to 6 weeks old from sowing. They are then transplanted to the Bato Bucket perlite system (photo 34). Our growing cycle is from Sept. 1 to July 15th. The crop changeover is started in mid-July so that we may have renewed product by mid to late November. The resort closes for the months of September and October, so that gives us two months to get the plants established. One of the main challenges with growing tomatoes in the Caribbean is the high relative humidity combined with high temperatures. During the summer months RH of 85% or greater and temperatures of 90 F is common. With minimum night temperatures at 80 F or higher our tomatoes have difficulty in setting fruit. Even during the cooler months from December through March, night temperatures still remain in the mid-70 F range, so at no time are the temperatures optimum for fruit set. As a result, our annual production is between 25 and 30 lbs per plant. Four rows of peppers are seeded on the first of August. As they take about 4 months from seeding to first production, harvesting begins by late November or early December (photo 35). Peppers suffer the higher temperatures better than the tomatoes. Towards the end of the season, we must be careful to keep the peppers from becoming too generative and slowing the growth and fruit size. We do this with extra irrigation cycles. The cucumber crop is alternated on a 5-week basis. We have only two rows of cucumbers, so each row is 5 weeks apart in age. 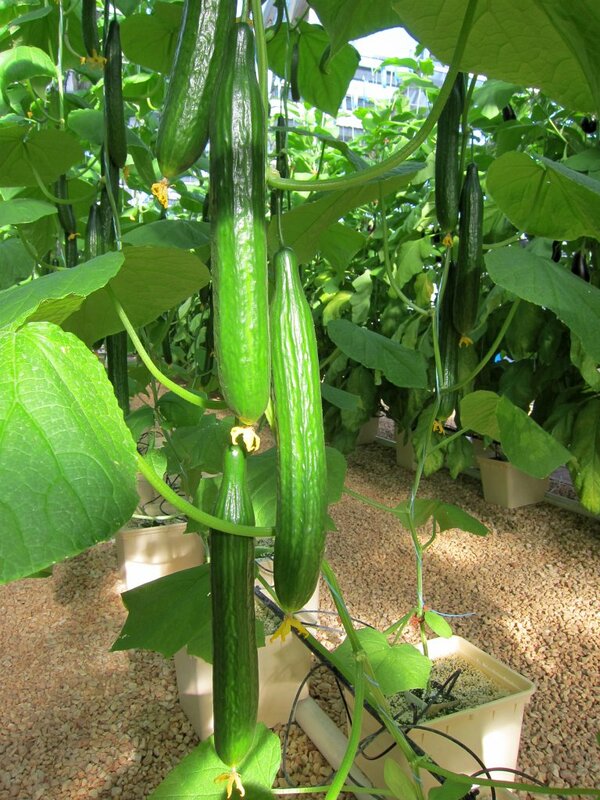 The cucumbers grow very rapidly from seed to first production in 5 weeks (photo 36), hence the 5-week age difference to keep always some production. 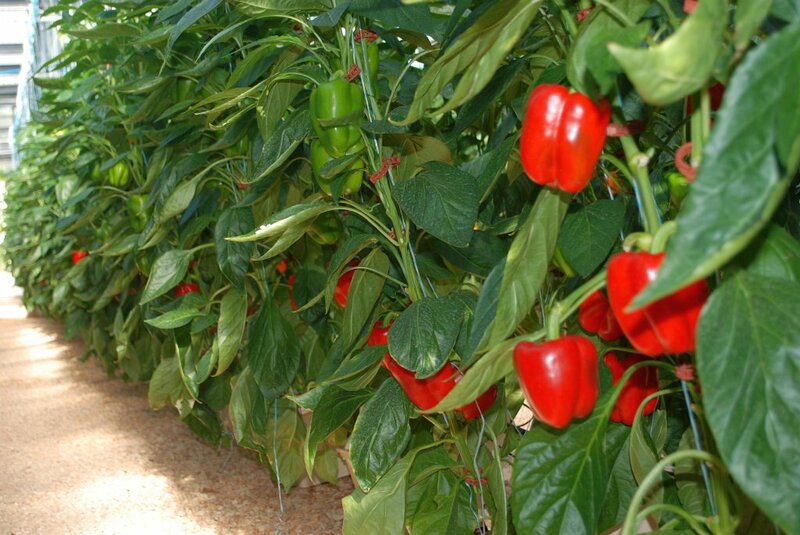 Peppers take about 3 ½ months and the tomatoes from 2 ½ to 3 months from seed to production. All of the crops are scheduled in detail over the entire year to obtain sufficient product for the resort on a continuous basis from November until August. The resort closes for the months of September and October, giving us time to get the crops back into production by the resort’s opening in November. This two-month closure of resorts in the Caribbean is common practice in the area during the hurricane season when there are no tourists. We have 66 plant towers growing herbs, watercress and bok choy. They are located along the perimeter of two sides of the greenhouse. These towers were purchased from Verti-Gro in Florida. 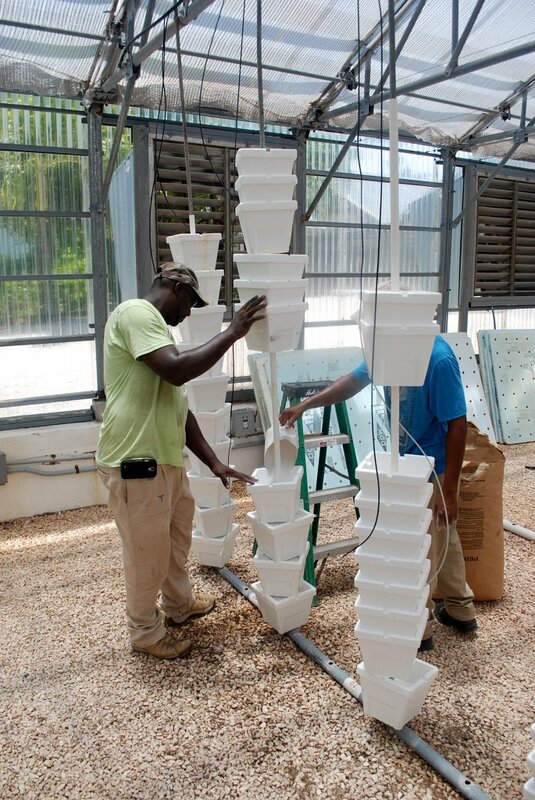 They consist of 10 Styrofoam pots each rotated 45 degrees to enable them to sit one on top of the other (photo 37). They are filled to within 1 inch with perlite. Irrigation is by two drip lines in the top pot and one halfway down the tower. The solution percolates from one pot to the next to the bottom where the leachate is conducted into a drainpipe taking it to the gray-water cistern for the outside landscape. The plant towers were designed to grow strawberries vertically in greenhouses. This method allows 6 to 8 times as many plants per unit area of the greenhouse in comparison with the use of horizontal beds. Each tower occupies 10 square feet (1 sq m) of surface area. Four clumps of herbs or one bok choy is placed or seeded into each pot as the square pots have 4 corners exposed when set one on top of the other. We are unable to grow strawberries due to the high night temperatures, but we grow herbs and bok choy very successfully. 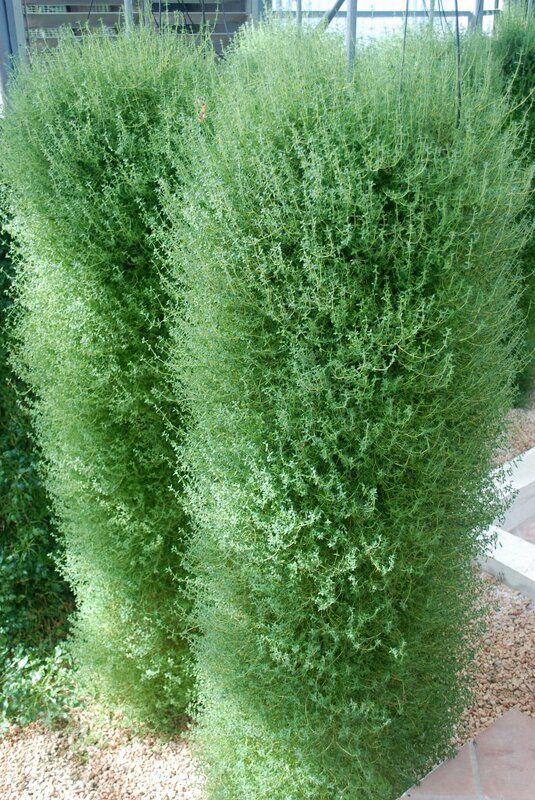 Herbs grown include thyme, oregano, mint, sweet marjoram, sage, tarragon, rosemary, lavender, chervil, chives, Italian parsley, moss curled parsley, dill and watercress (photo 38). With the herbs we seed directly 8 to 10 seeds in each corner of the pots. Some of the towers are reseeded after 3 to 4 months, such as watercress, dill and chervil; the others will go for the entire season. Bok choy grows rapidly in the plant towers (photo 39). It is sown in Oasis cubes, then transplanted 18 days after to the plant towers. They can be harvested from 28 to 35 days after transplanting. The number of towers of each crop depends entirely on the demand of the resort’s restaurants. The bok choy is a miniature variety “Green Fortune” from Ornamental Edibles in California. The bok choy is cut in half and simply steamed for several minutes. In this way, the maximum of vitamins and minerals stay in the food. The guests are so pleased with the bok choy that the demand continues to increase. Watercress was first grown outside in an NFT bed. 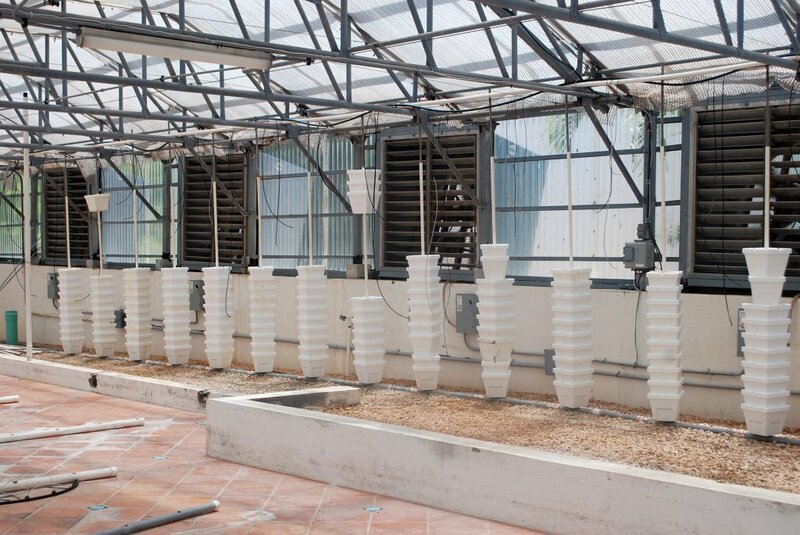 However, armyworm larvae infestation could not be controlled, so we decided to grow it inside using the plant towers. Watercress, of course, prefers beds of flowing water, but as we do not presently have space for such a system, we continue to grow it in the towers. The only change we make in cultivation is that the crop must be re-seeded after 3 harvests. The injector system designed by CropKing consists of two 300-gallon (1135-liter) stock tanks, one 195-gallon (738 liter) pH adjustment tank, the injector and a 40-gallon (155-liter) blending tank (photo 40). The stock solutions A and B are 75 times normal strength. They are diluted back in the ratio of 1:75 by the injector as the solutions enter the blending tank. From there they are pumped to each of the stations. The greenhouse has 9 stations controlling the rows of vine crops, 3 stations for the raised beds and 2 stations for the plant towers. An 18- station Superior Controls, Inc. controller operates all these. Irrigation cycles are set according to the plant stage of growth and weather conditions. Most of the vine crops have a 10- to 12- minute period of irrigation every 2 hours, with a total of 6 cycles per day. The plant towers are irrigated for 4 minutes twice a day and the raised beds for 10 minutes every other day. We maintain between 25% and 30% leachate with the bato buckets. The pH for the vine crops is between 6.0 and 6.4, with an EC of from 2.3 to 2.5 mMho. We are already aware of tourist attractions using hydroponics such as Epcot Center and the Biosphere. I see in the future where more demonstration hydroponic facilities will be built in areas of high tourism as people are very fascinated with this culture and it is very educational for their children. Such hydroponic units could be established with various theme parks. My particular interest, however, is to establish more Hydroponic Farms in association with hotel resorts, not only in areas where conventional agriculture is restricted by local non-arable soils and lack of water, but in all high-end resorts whose guests are concerned about their diets and safety of their foods. I have asked the opinions of many of our guests as to how concerned they are with their food source, nutrition and flavor and whether they would like to see more hydroponic farms associated with resorts. They all overwhelmingly support the concept. 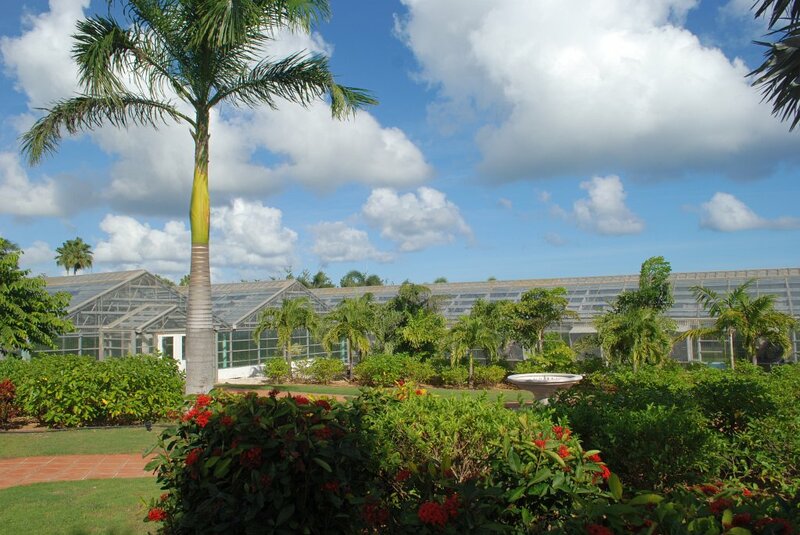 CuisinArt Golf Resort & Spa Hydroponic Farm is a model for other resorts. 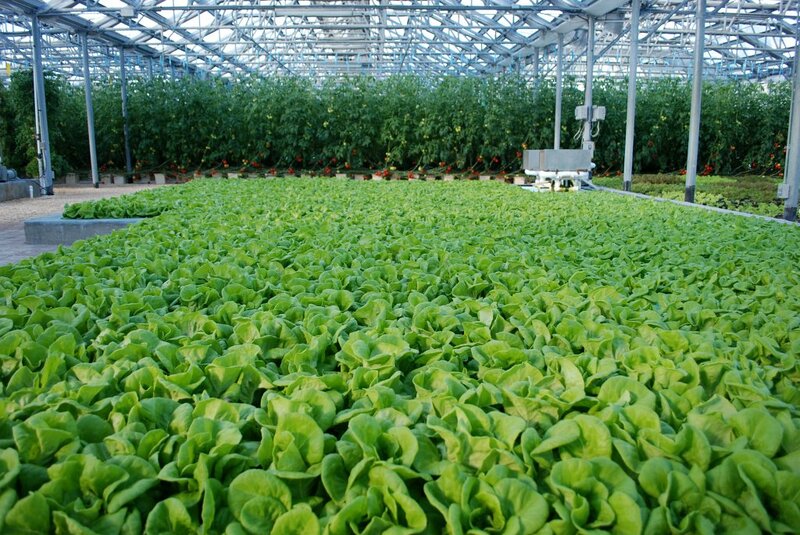 While you may think that such hydroponic farms would not be economically feasible in many areas such as the Southwest U.S., where high-quality greenhouse products are available nearby, the fact is the guests are still uncertain of the quality and nutrition of such products, as they cannot see themselves how they are grown. This psychological effect of touring a facility where your food is grown is the factor that will set a resort apart from all others and bring the guests back. These types of resorts now almost all have health spas on site. The combination of the hydroponic farm products with the exercise programs of a health spa can become part of a “wellness” program at the resort similar to what we do here at CuisinArt Golf Resort & Spa. 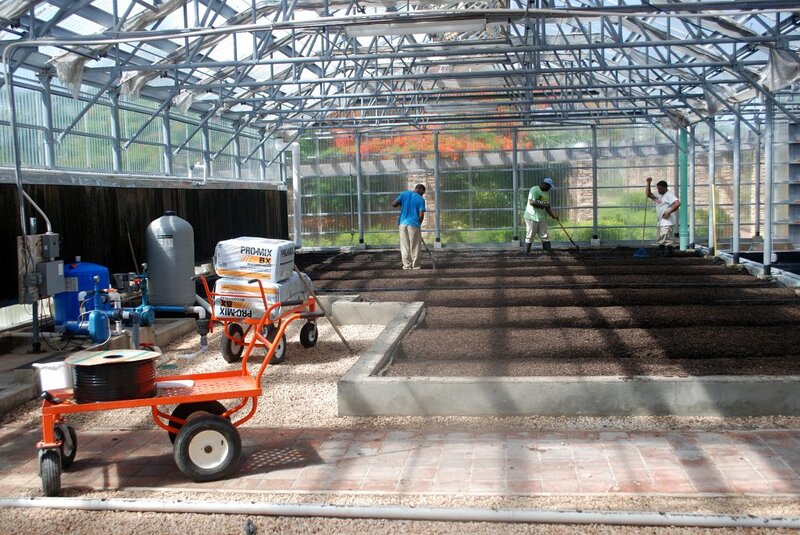 The CuisinArt Golf Resort & Spa Hydroponic Farm has set the stage for new facilities in other regions. Just think of the potential worldwide, including Mexico, where many large resorts exist. 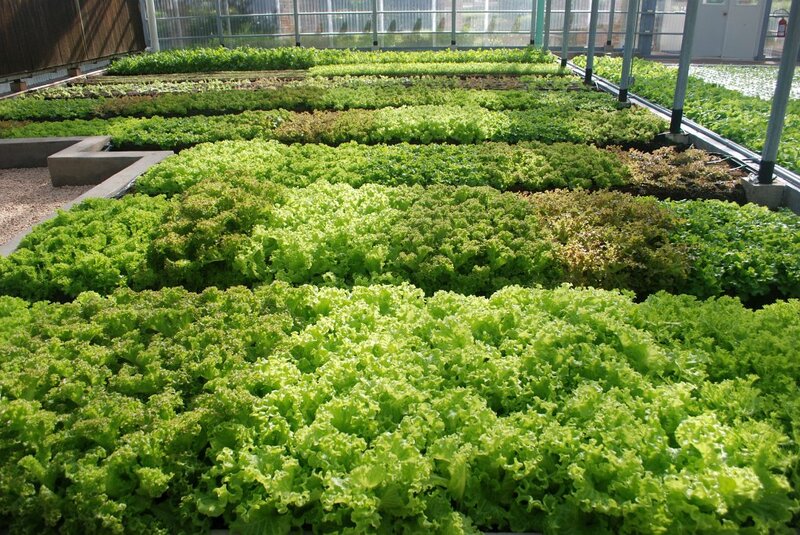 It is simply a matter of getting the idea out there to help the resorts to realize the benefits of a hydroponic farm. We all are aware that tourists’ biggest worry when traveling is that they may become sick from fresh salad crops and therefore they refrain from eating them when traveling. This worry will be overcome by the presence of a hydroponic farm at any resort. This is my vision of how hydroponic farms will in the future become established in the tourist industry (photo 41).